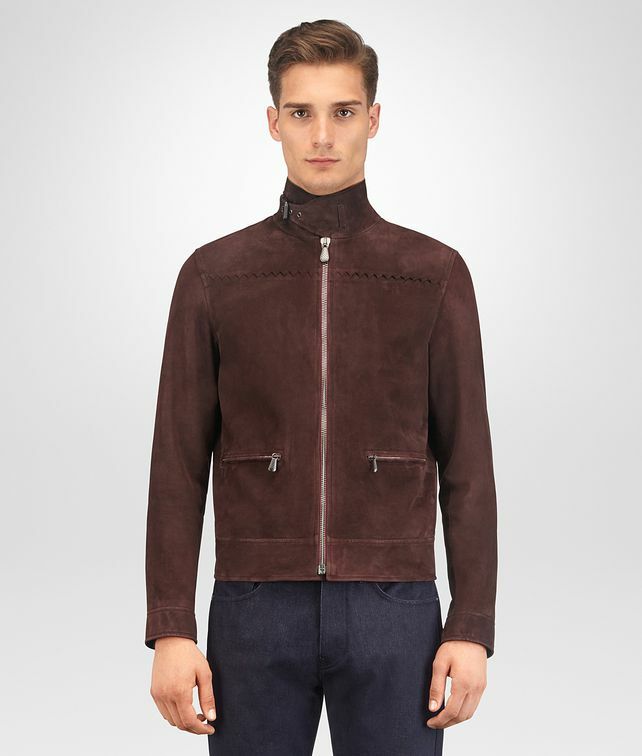 This plush suede blouson is a Bottega Veneta staple, reworked for the season with a subtle motorcycle influence. The slightly boxy silhouette features a buckled collar and cuffs, with intrecciato-engraved hardware adding a signature touch. The distinctive zig-zag inlay across the chest is characteristic of its unique artisanal construction. The jacket is lined in viscose for a smooth fit.